We have all been told eat our vegetables; some days we comply and other days we defy. Perhaps we need a story to challenge us and teach us why. Imagine Jesus decides to dine with you. At the dinner table He shares what happened outside the walls of Jerusalem when three crosses were raised and He was in the center. He explains how his blood was shed for our redemption. 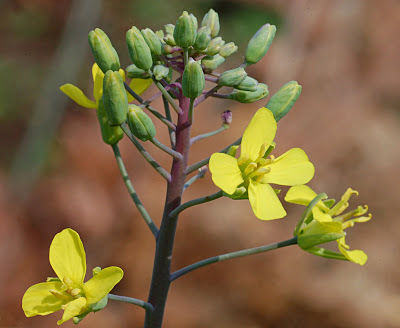 Jesus goes on to describe his reminder of the cross in the four petal flower on the cruciferous vegetable. As you look down at your plate of broccoli He finishes by explaining that cruciferous means cross. And the cross brings healing. Research proved Cruciferous vegetables are twice as powerful as other plant foods. In population studies a 20% increase in plant food intake generally corresponds to a 20% decrease in cancer rates, but a 20% increase in cruciferous vegetables intake corresponds in a 40% decrease in cancer rates. Another study showed eating 28 servings of vegetables per week decreases prostates cancer risk by 33%, but just 3 servings of cruciferous vegetables per week decreases prostates cancer risk by 41%. Incredible studies show God’s amazing design in these often ignored vegetables. Now we can prove it to ourselves by taking the Cruciferous Challenge. To learn more about the health benefits and biblical connection of cruciferous vegetables: Treasures of Health Nutrition Manual. How God’s design in the cross does bring healing. 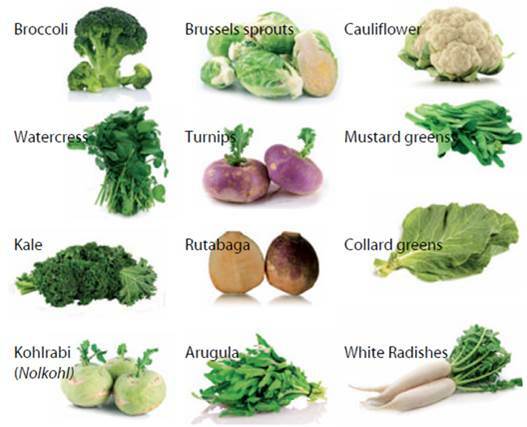 For thirty days commit to eating cruciferous vegetables to your daily menu. If you already eat these throughout the week then it would be an increase in the number of servings. If these vegetables are new to you then it will be a great culinary adventure. There are different levels of commitment to all challenges and since we are not grading on a curve you get to choose which level would convince you most. Student of Cruciferous – this is the person who says “there might be some truth to this so I am going to give it a try”. This person commits to eating at least 1 serving, which equals 1 cup of raw or lightly steamed, cruciferous vegetables every day for 30 days. Master of Cruciferous – this is the person who says “I like what I am reading let’s take it to the top and get the best results. I am going to master my health with this challenge”. This person commits to eating at least 3 cups cruciferous vegetables daily for 30 days. Three cups would include 1-2 cups raw and 1-2 cups lightly steamed. So now you choose. Are you a STUDENT saying “let’s see” or are you a MASTER saying “I’m all in”? You’ve committed so now let’s look at the menu for the next 30 days. It is best to not eat just one for all 30 days but to sample and try each one. How many of these have you already tasted? For most people at least half of these are not new in name but they are new in taste. This challenge will be an experience where new favorites will be discovered and new forget-its will be exposed. That’s normal; we all have different preferences when it comes to taste. But remember – taste is acquired. You were not born with a taste preference. It starts in the mind and the mind filters what is eaten to determine if you like it or not. You’ve heard it said “It’s all in your mind” well that is true when it comes to taste. Start this challenge with the mindset – ‘these are a gift from the Lord and it will do my body well to try each vegetable in at least 3 different recipes before determining the level of like or dislike’. To learn more about the health benefits and biblical connection: Treasures of Health Nutrition Manual. Roasted: Roasting caramelizes the outside of the vegetable while keeping the inside crisp tender. Mixed: Recipes abound using cruciferous vegetables as the main and side ingredient. The more you experiment with the individual flavors the more you can substitute these healthy bounties for the casual carrot, corn and mashed potatoes. See the website www.FlavorOfGrace.org for recipe ideas, Cruciferous Challenge Cheat Sheet, and other helps. Tastimonies are the verbal recognition of how much better you feel following God’s design. Let’s take it a step further with additional proof – lab work. Before starting the 30 day challenge have lab works completed including a C-RP, Vitamin D and Cholesterol tested. These tests can be ordered through your doctor or you can obtain them yourself through www.DirectLabs.com. This website (not affiliated with Flavor of Grace) is an inexpensive way to track your health in a quick non-intimidating way. You don’t need to consult your doctor. Just go online, order the test you desire and then schedule an appointment to have the blood drawn. Then results will post online at the DirectLab website. At the end of your 30 day challenge – have your lab work tested again. After getting your final results, fill out the Cruciferous Challenge Check In on the website: www.FlavorOfGrace.org. We are so looking forward to singing the Lord’s praises with you as proof is shown how these foods bring healing. Please let us know how your challenge went. How did your lab work change? How did your energy level improve? We look forward to hearing how the cross changed your health.